DeLuca, a pioneer in restaurant franchising, turned Subway into a global empire with more than 44,000 locations in over 115 countries. 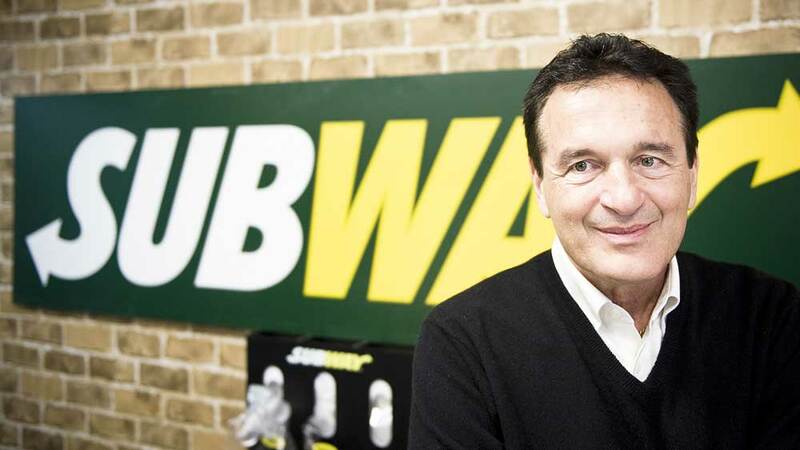 Subway Co-founder and CEO Fred DeLuca who has set the tune for making Subway one of the top performing global chain and the top restaurant franchisee died on Monday at the age of 67, the company said. Deluca Co-Founded Subway way back in 1965 when he was just 17 year with a $1,000 loan from his doctor friend Peter Buck. “He was an extremely ambitious businessman, a bright and analytical thinker and was even a member of Mensa,” the statement said. Over the decades Deluca has made Subway one of the top most restaurant franchisee company with presence in approximately 115 countries, Subway has given the greatest numbers of outlet than any other chain. DeLuca had been undergoing treatment for leukemia since 2013. He had recently named his sister, Suzanne Greco, as president, in charge of daily operations. According to a report, DeLuca opened his first sandwich shop, called Pete’s Super Submarines, in Bridgeport, Conn. Initially, his plans were to raise money from the shop to help pay for his education to become a doctor but he became a sandwich man with a goal of opening 32 stores in a decade. In 1974, when DeLuca and Buck had 16 sandwich outlets throughout Connecticut, they realized they wouldn’t meet their goal unless they franchised the brand. DeLuca, a pioneer in restaurant franchising, turned Subway into a global empire with more than 44,000 locations. Forbes this year estimated his net worth at $3.5 billion. Grab a bite: Riyaaz Amlani to expand Social and Sm..